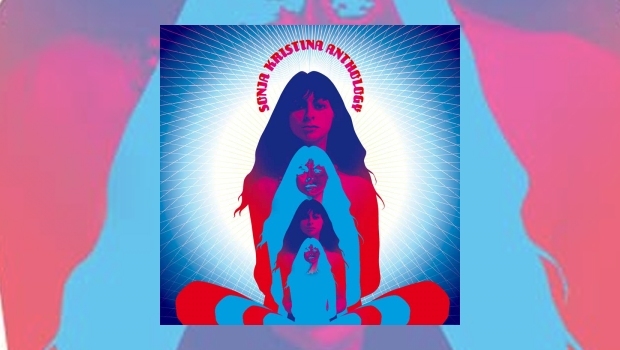 This 2-CD set consists of Sonja Kristina’s career outside of her work with both Curved Air and Mask, containing not just her solo work but various releases that she’s been involved with beyond the two bands, showing that she’s more than just the front woman for one of the U.K.’s finest progressive rock bands to come out of the 1970s. It covers the period after Curved Air split up in 1977, following the release of their sixth studio album, Airborne. When you listen to this anthology, you can hear elements of theatrical, folky, haunting, and punk-like melodies that go beyond the sound of Curved Air, Sonja herself still spreading her wings to fly further. It contains two new tracks that are on disc one, covers including Frank Mills from the rock musical Hair and the Emerson, Lake and Palmer cover of C’est La Vie. Full Time Woman is Sonja’s nod to Mott The Hoople and David Bowie’s All The Young Dudes. It has an ascending melodic glam-rock approach and shows the appreciation and accomplishment she brings to her work. There is also the Calypso atmosphere with a folky twist of One To One; she knows her way around the setting of a beautiful sunrise and the description of where the next journey will take her. The mellowing version of Melinda (More Or Less), which comes from Curved Air’s third studio album, Phantasmagoria, released in 1972, has a symphonic jazz-folk approach, somewhere between Dave Brubeck’s Take Five and Renaissance’s Ashes Are Burning. Sonja dedicates C’est La Vie to the late, great Greg Lake, her smoothing arrangement of the song, from Works, Volume 1, sees her keeping Greg’s legacy alive in a haunting version that takes you to the streets of Paris with its beautiful warmth and relaxing vibes. Frank Mills is a tribute to Sonja’s roots as it was here that she got her start, in the West End production of the musical at the Shaftesbury Theatre 50 years ago. She hasn’t forgotten her background in theatre, it’s like her looking through a scrapbook of the songs of her memories. The Passion is a symphonic Celtic ballad from Alan Simon’s Excalibur 4: The Dark Age of the Dragon. Alan picked the right woman for his conceptual storyline, and while it has a Gilmour-esque sliding guitar introduction, the song is an operatic orchestral letter to the hero far away, showing the love that still exists between the characters. Devil May Care is a composition with a punch as Kristina reminisces about the song Propositions, from Curved Air’s Air Conditioning album. It’s Sonja having a blast with a folk-prog twist that you can dance to through the night. She then shows her punk-rock side on two of the tracks from disc two. With Rollercoaster there’s a punky vibe as the bass goes into a reggae rhythm before riding into oblivion as the bar goes up and up in the midsection. It shows that Sonja is more than just a progressive artist, and she’s having a blast on this song, but it’s San Tropez (not the Pink Floyd song from Meddle) where she makes the jump to light speed. She’s the new captain of the USS Enterprise in a nod to the late-’70s era of Space Rock legends Hawkwind and Robert Calvert, between Amazing Sounds, Astounding Music and Quark, Strangeness And Charm. She lands back on Earth in a collaboration with Darryl Way on the dystopian and intensive work of Carl Orff’s O Fortuna, from Carmina Burana, inspired by the 13th Century poem and textures of the piece. Love Child, recorded during the Air Cut sessions in 1973, brings Sonja in a full cycle with Curved Air. This has a real punch to it as Eddie Jobson and Kirby Gregory duel between electric violin and electric guitar, duking it out as it reaches for the climax with an incredible improvisation. The 12-page booklet contains liner notes by Sonja herself, along with photos of her in her younger days, including one with Stewart Copeland (Curved Air, The Police), and as she is today. Now I will admit, listening to this anthology set I’m not crazy about her solo career, but she spread her wings to fly from day one. As we head towards 2020 which will mark the 50th anniversary of Curved Air’s formation, who knows what the future will hold for Kristina, between her time as a solo artist and with Mask and Curved Air, but this set is a must have if you admire her work beyond the Air sounds.